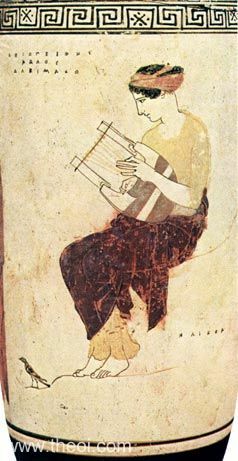 A Muse, probably Calliope, is seated on the rocks of Mount Helicon playing a lyre. The name of the mountain in inscribed on the vase. A small magpie sits at her feet and to her left stands a second Muse (see other image).